Life's Journey To Perfection: Family Home Evening on Being Good Citizens and being subject to kings, presidents, rulers and magistrates. Family Home Evening on Being Good Citizens and being subject to kings, presidents, rulers and magistrates. Since, today is President's Day in the United States, I thought that I would focus tonight's Family Home Evening on the 12th Article of Faith. Introduce this weeks Topic: Being Good Citizens and being subject to kings, presidents, rulers and magistrates. "We believe in being subject to kings, presidents, rulers, and magistrates, in obeying, honoring, and sustaining the law"
Article of Faith: #2 "We believe that men will be punished for their own sins, and not for Adam’s transgression." Repeat this Article of Faith as a Family. Help each family member memorize the Article of Faith. Read this statement from Elder L. Tom Perry (member of the Quorum of the Twelve Apostles) : “As Church members, we live under the banner of many different flags. How important it is that we understand our place and our position in the lands in which we live! We should be familiar with the history, heritage, and laws of the lands that govern us. In those countries that allow us the right to participate in the affairs of government, we should use our free agency and be actively engaged in supporting and defending the principles of truth, right, and freedom” (in Conference Report, Oct. 1987, 87; or Ensign, Nov. 1987, 72). 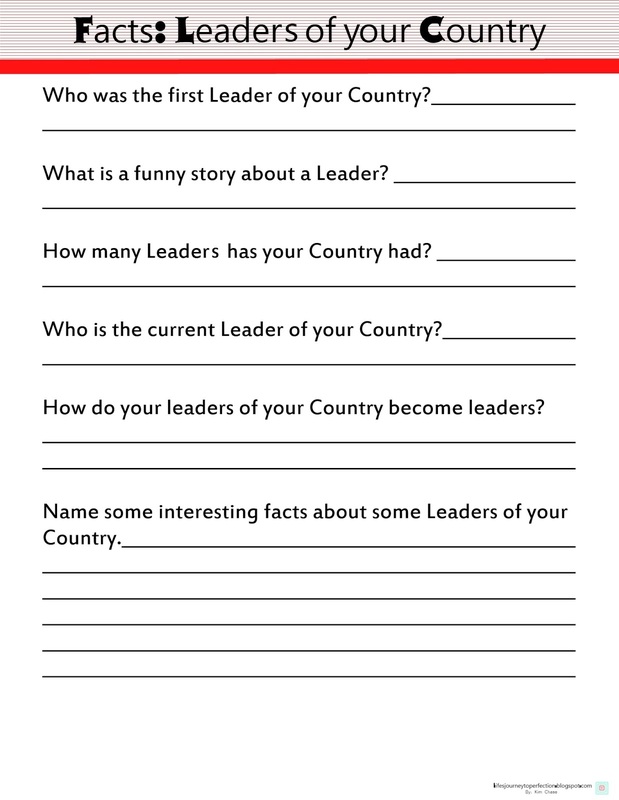 Use the Printable below: As a family fill out the questioner about the Ruler's of your Country. Ask your family how they feel about these great rulers and how they were influenced by their faith in God? Ask your family how each member can be involved in supporting and defending the principles of truth, right and freedom and be a good citizen in their community? “Members of the Church need to influence more than we are influenced. We should work to stem the tide of sin and evil instead of passively being swept along by it. We each need to help solve the problem rather than avoid or ignore it” (in Conference Report, Apr. 1989, 100–101; or Ensign, May 1989, 80). Bear testimonies on Being Good Citizens and being subject to kings, presidents, rulers and magistrates.